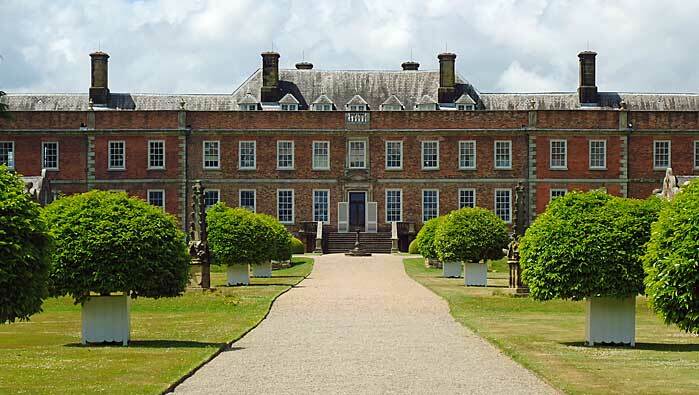 Erddig is an Eighteenth Century house which reflects the life of a family for over 250 years. 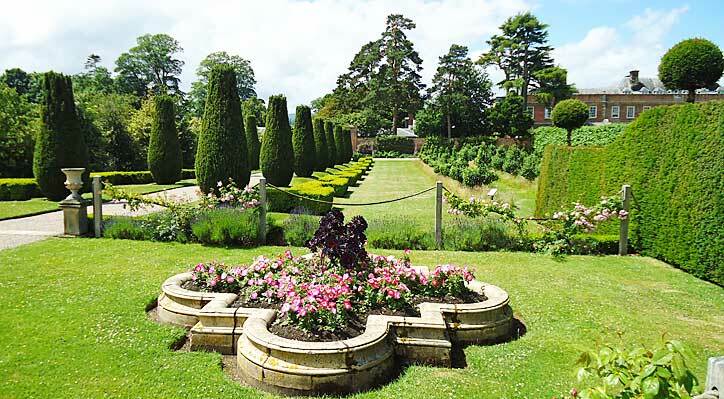 It is a fantastic meandering estate which has many out-houses and barns and stables to explore as well as a large house which still contains all the items that the family collected over the years. Some of these things are exquisite and some are just downright odd but the National Trust were expected to keep everything and “everything” is what you see. One word of warning is that the approach drive is very narrow and there is two way traffic so take it easy and look for the passing places. I can heartily recommend the restaurant as we had lunch there and it has one of the most spacious seating areas and menus in a Trust property I know of. After the ticket office you will find a series of out-buildings, some of which act as museums in their own right and one of which is the restaurant and there is a separate tea room. You then need to continue on and through a small gate marked to the gardens. Not surprisingly you come to the gardens and the house itself is accessed from there. 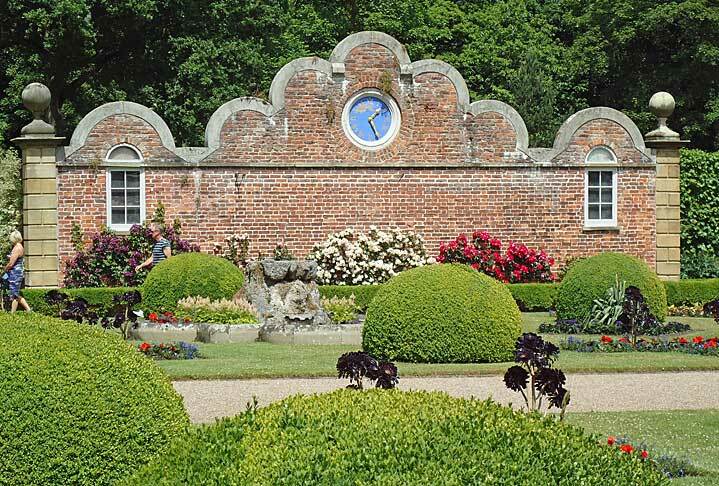 In front of the main house there are large box balls and some bedding plants in small borders and to your right is a lovely clock set a brick wall made of the same materials as the house itself. There are several gravel paths and it is an area where no doubt ladies in fine dresses paraded at certain times of the year. 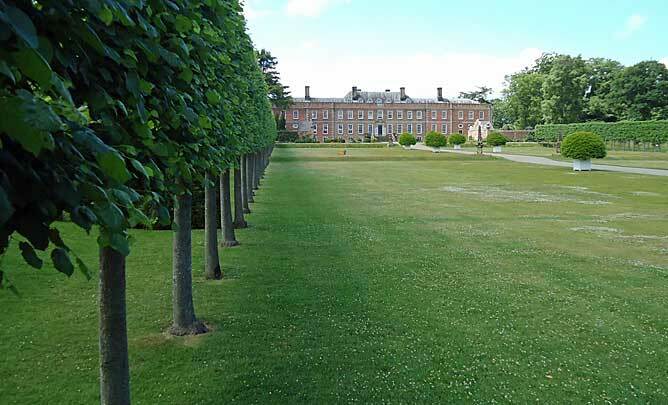 Throughout there are clearly defined paths for those who like to keep their feet dry but there is nothing to stop you venturing onto the grass and indeed the whole place is very child friendly. The only exception is they do not like you walking on the pollinator zones but these are clearly marked. 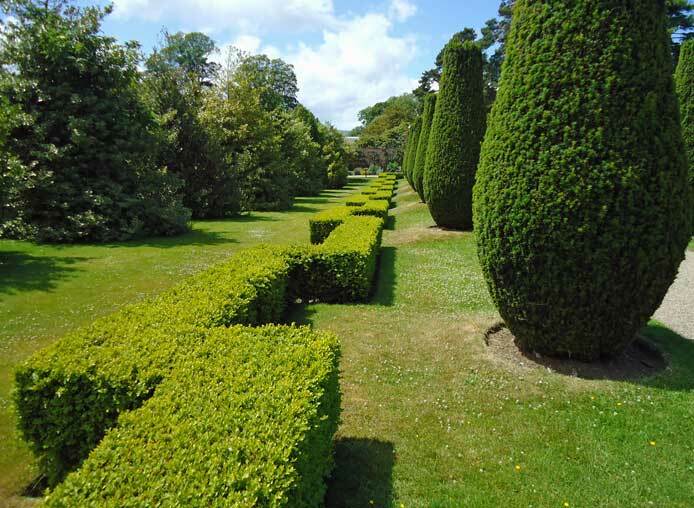 There are a series of high specimens mixed with low specimens or box hedges and often more informal trees but still lined up in a row. The whole effect is of classical proportion and elegance. 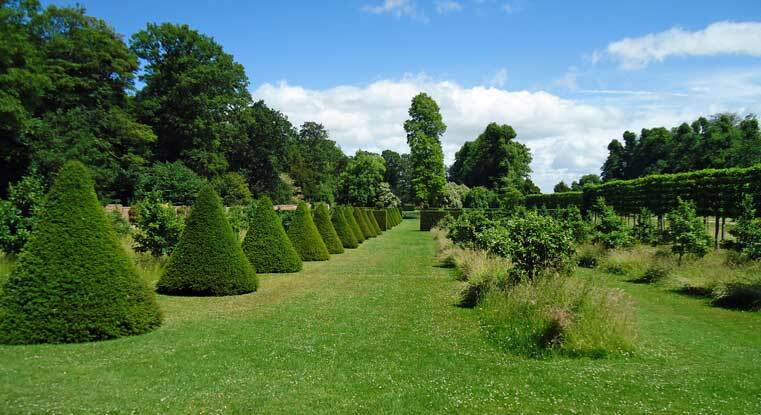 I am not too keen on fastiagiate yews as they only grow into one shape but these are the best examples of the breed I have seen. 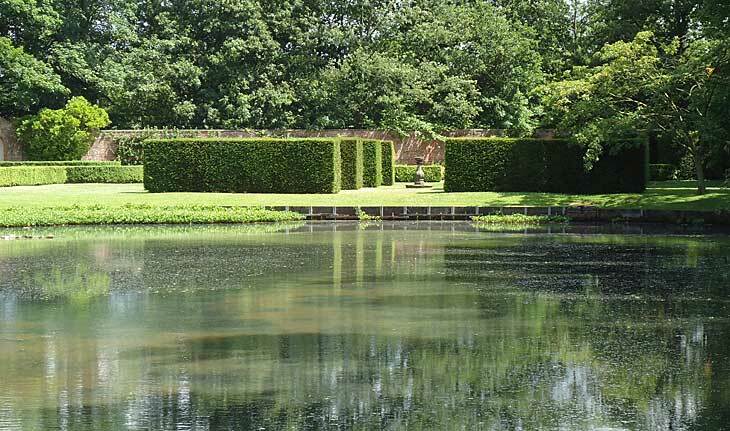 There is a gorgeous pool, in the centre of the formal garden which gives great reflections of the surrounding trees and has a large amount of water lilies in it. It will fascinate the children but beware there is no edge to it so try to stop them running straight into it. 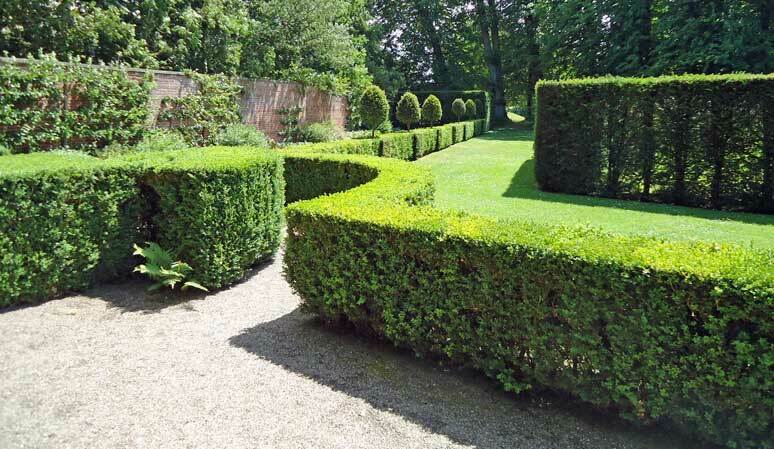 Around the pool are a series of yew hedges and stone urns and around the edge of the formal garden itself near the stone wall are lower box hedges, some with standard yew trees growing through them at intervals. 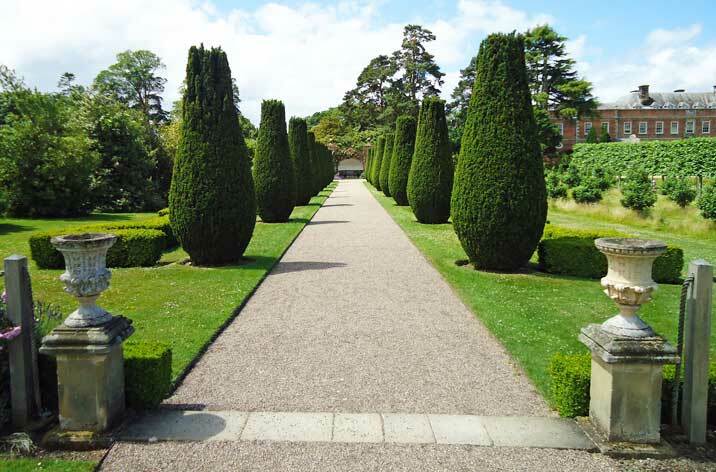 The yew cones are particularly splendid and you don’t know which avenue to walk down for the best. You could cheerfully walk several miles up and down every one so there is a lot to keep the interest and remove that excess energy in the little ones. If that’s not enough there is also another 1,100 acres of country parkto wander around in. If you like quirky things and social history then definitely go inside the house but be warned it is dark even by Victorian standards as the owners of the house refused to have any electric lights installed before it was passed over to the Trust. There are also portraits of all the servants who used to work in the house in the basement. Who says the landed gentry didn’t value their workforce as people?